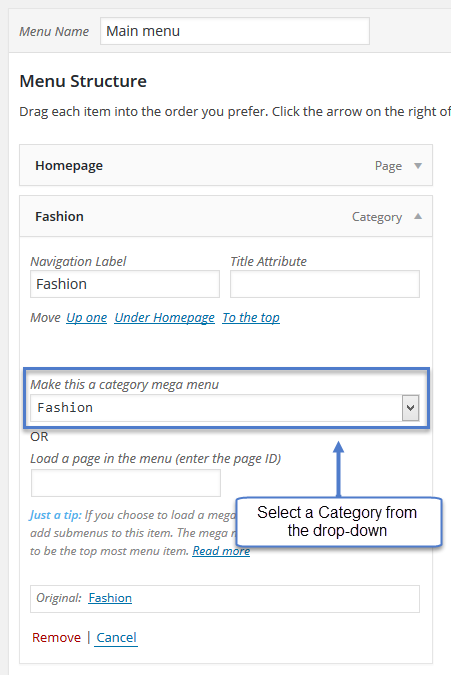 Mega menus are useful if you want to show posts from specific categories inside the menu. 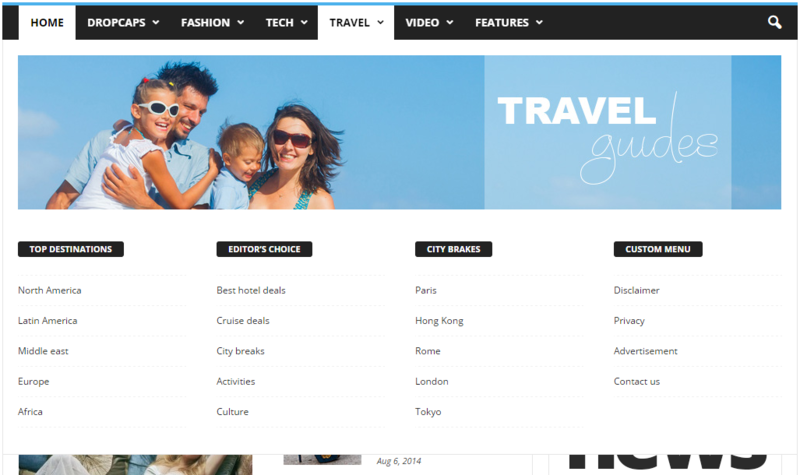 The mega menu has a subcategory support, meaning that your visitors can switch from a category to another in the menu. You have to use a parent category if you want to have sub-categories. Also, please make sure that the Item menu used as Mega Menu is in the root of the Menu, and doesn’t have sub-menus inside. * You have to use a category that doesn’t have sub-categories. * Also, please make sure that the Item menu used as MegaMenu is in the root of the Menu, and doesn’t have sub-menus inside. 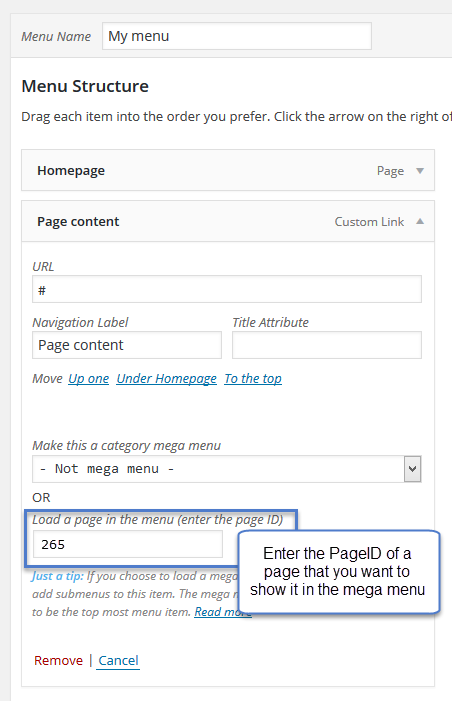 Step 3 – Click on the menu item and in the field “Make this a page mega menu,” enter the ID of the Page that you want to have in the Menu.